I obviously must have spent all of my childhood under a rock, because I somehow missed Madeleine L’Engle’s classic ”A wrinkle in time”. One of my favourite activities as a child was to go to our nearby library, pick a book from the shelves and make myself comfortable in their reading room, which was very cozy, all covered in cushions. Still, this book managed to fly under my radar. It was only thanks to the several Cannonballers who have reviewed it over the years that I finally found out about its existence. Meg is the daughter of two renowned scientists. Her father has been missing for years, but her mother does not seem that worried about it and did a pretty decent job raising Meg, her twin brothers and her precocious little brother all on her own. Except Meg doesn’t feel that she fits in. She gets angry a lot, especially when people insinuate that her father left her mother for another woman, or that her gifted little brother is ”not quite bright” or ”subnormal”. One day, a mysterious woman appears on their doorstep. Meg’s little brother seems to know her very well. The woman then whisks them away on a trip through space and time to look for their father. Soon they find out that there is a great evil lurking out there and they are all in danger. This is a book that is aimed towards children/tweens, but it definitely doesn’t treat its readers as children. The physics of time travel are not watered down or altered in order to be understood. They are explained in an educational way instead. The characters are three-dimensional and fleshed out, even if jarringly prickly at times. I enjoyed this quick read, but I do wish I had first read it as a child. I am afraid that the magic inherent in a good children’s’ book is lost on adult first-time-readers. Still, I could easily see what all the fuss was about. Share the post "Spirited away"
I need to make time to read more. 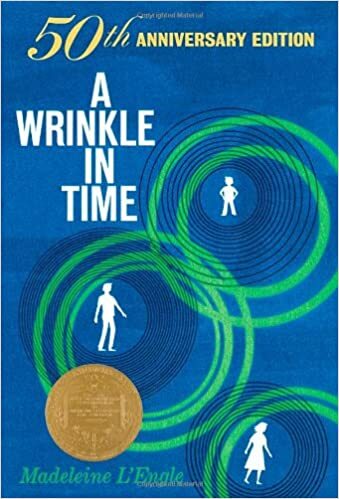 Wrinkle in Time was one of my favorite books as a kid. It helped fuel curiosity about the stars and planets. Plus it was great to have a smart girl as the protagonist. Sadly that wasn’t so common in the 60s. Yes, I completely agree! More books about smart girls please! And read the rest of Meg’s books, too, as they grow up! I think the last one is about Meg and Calvin’s daughter. Wind in the Door is my favorite.